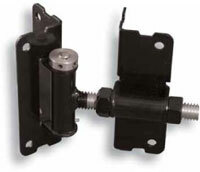 Most hardware comes with TEK screws and carriage bolts required for mounting. 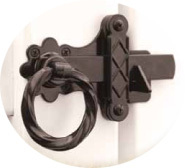 Use with ALL Gate Latches to prevent damage to the latch. 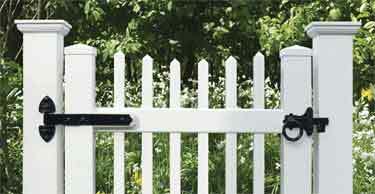 Warranty is void if a Gate Stop is not used. 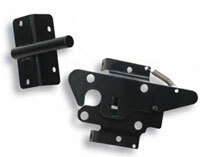 A special adaption of the Brutus gate spring for use with PVC fencing. This is the same spring used in the version for wood gates. The spring is stainless steel with a black powder coat. No Gate should be installed without a Gate Stop.